The Xenith Comp is the lowest tier of Jamis’s race- oriented Xenith line. Five other bikes exist within the family: Xenith LTD ($6,999), Xenith Team ($4,799), Xenith Pro ($3,199), Xenith Race ($2,599), and Xenith Comp Femme ($2,499). 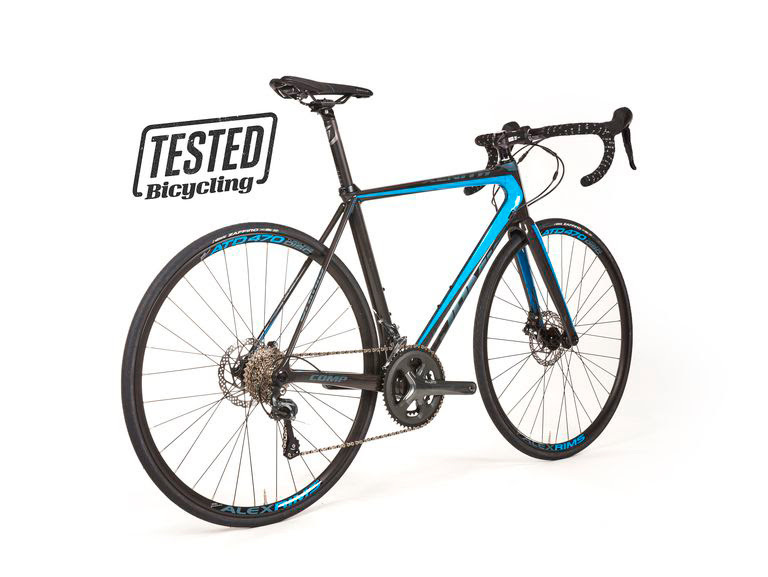 Each bike in the line features hydraulic disc brakes and thru-axles, and each bike, except for the Comp Femme, is available in sizes 48, 51, 54, 56, 58, and 61cm. The top-of-the-line LTD comes with a SRAM Red eTap groupset and 3T Discus C35 Team carbon wheelset. The Team features a mechanical Shimano Dura-Ace groupset and, at 16 pounds, is claimed to be the lightest bike in the line. The Pro offers a Shimano Ultegra groupset and the Race has a Shimano 105 groupset. Finally, the Xenith Comp Femme is a women-specific build that comes with a Shimano 105 groupset and is available in sizes 44, 48, 51, and 54cm. Previous post ENVE Trade In -> Trade Up Event!